Valley Isle Excursions offers some pretty incredible experiences for those of you that like swimming at waterfalls, exploring rainforest, taking photos in front of breathtaking panoramic ocean views, learning about Hawaiian legends at black sand beaches, and having a ride home after wine tasting. These are just a few of the things you’ll enjoy while traveling in an air conditioned luxury vehicle with elevated seats and huge windows. 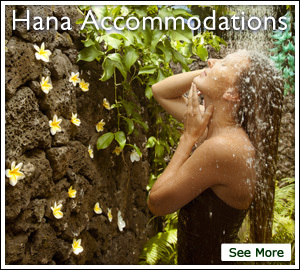 Learn more about how local guides can give you the best Road to Hana Tour. Get your seats today while they’re available!